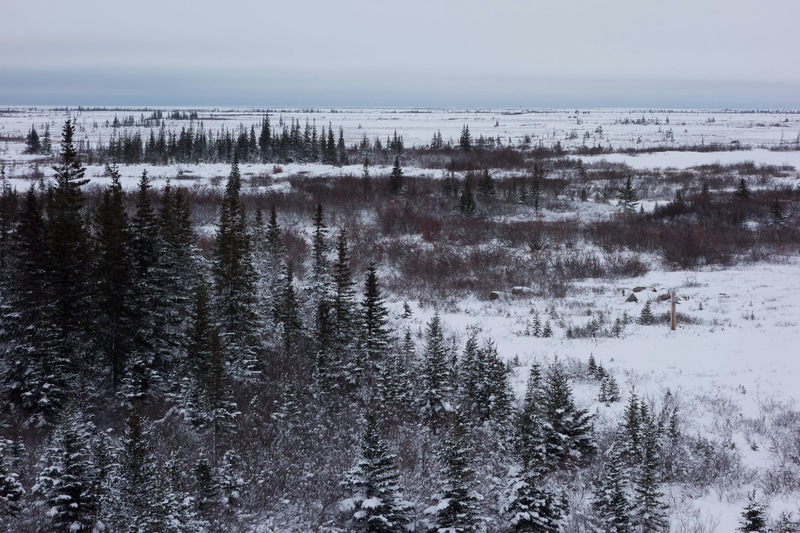 Chuck Jonkell, the renowned bear biologist who started this trip to Churchill over 30 years ago at the request of his university students, has now retired. He’s still present in spirit, though, and today his maxim ‘only the incompetent have adventures’ proved to be apt. 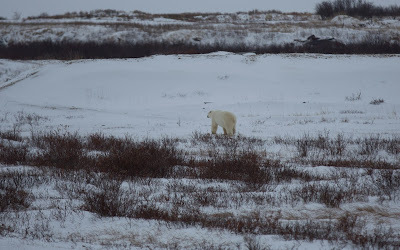 It’s almost a Great Bear Foundation tradition to have a lucky escape from misfortune, and this afternoon our tour bus started back firing in polar bear country, away from any cell phone coverage. Our experienced driver Frank Tyro managed to nurse the decrepit vehicle to the safety of the nearby airport, and rescue came quickly in the form of a functioning bus. 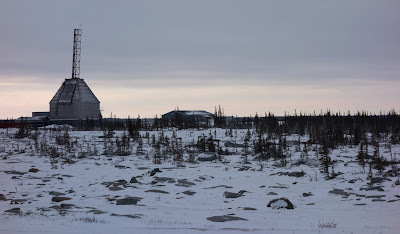 I was untroubled, not just because I had faith things always turn out for the best with this group, but because the break down happened just after a visit to Churchill’s liquor store, which would have made an extended wait for help in Arctic temperatures more tolerable. 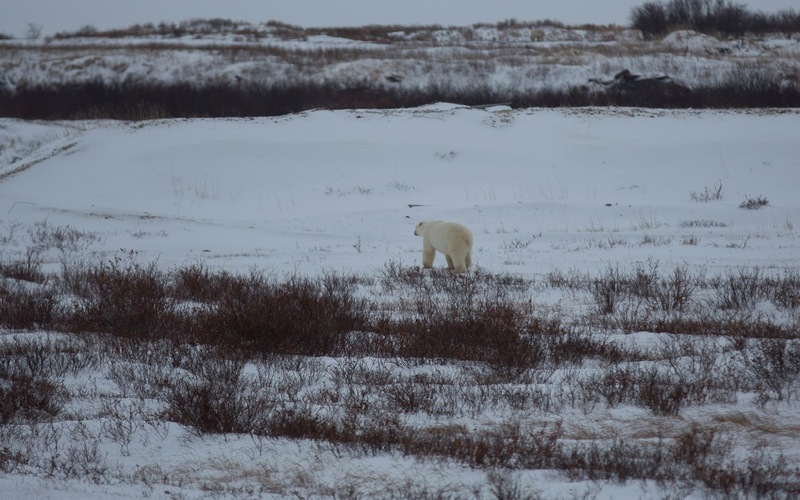 We saw our first, and only polar bear of the day on the trip from the train station to our accommodation, the Northern Studies Centre. 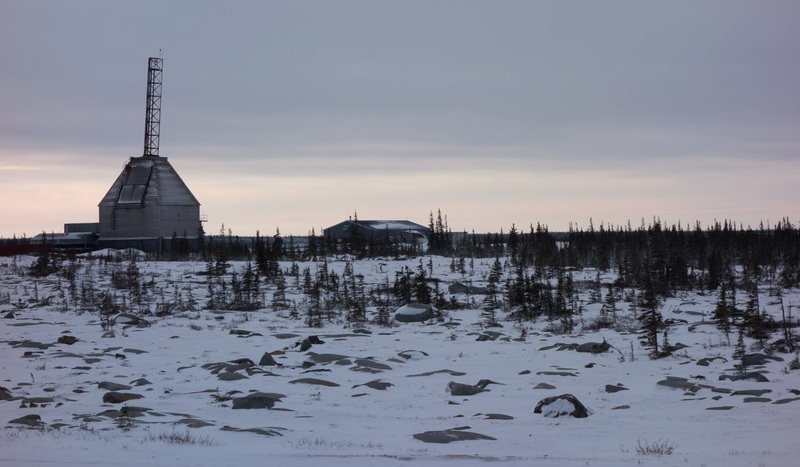 This facility is situated 15 miles from town at the site of the former rocket range. This first bear eluded my attempts at a close up picture, but seemed to auger well for the days ahead. 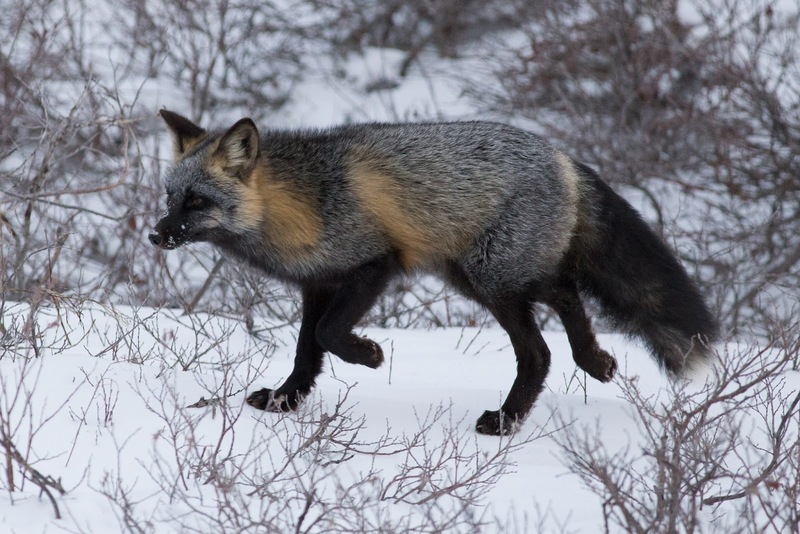 Later on we saw a cross fox and a red fox being chased by sled dogs, whilst the sunset was as ever in the north spectacular. The evening at the Study Centre is given over to lectures; this is after all an Arctic Ecology Course, despite the jollity. Tonight was an introductory session of introductions; there are some real adventurers on this trip as it attracts the open minded. The common theme was appreciation of the tolerance of fellow travellers: such a lengthy journey gives the group plenty of opportunity to bond. It seems each year we have an artist in our midst; this time there is a sculptor from Montana who is intending to create a life sized polar bear on her return. We also enjoyed a wide ranging presentation on photography. 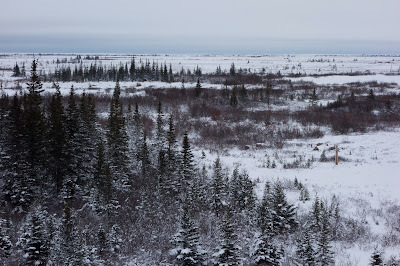 Tomorrow, I will be spending the day away from the group on a Tundra Buggy vehicle; this is a controversial method of tourism that I will cover in more detail after the experience. Jeremy Patrick 2018. Travel theme. Powered by Blogger.